Claudia Cardinale met the Italian film producer Franco Cristaldi in 1958. According to Cardinale, the couple had a marriage party but did not marry, and they became increasingly detached. Cristaldi later married Zeudi Araya and had no further contractual relationships with Cardinale. Cardinale lived with Pasquale Squitieri, an Italian film director, for 42 years, from 1975 until Squitieri passed away on February 18, 2017, aged 78. 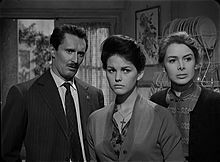 Cardinale has two children: Patrick, who was born illegitimately when she was 19 and later adopted by Cristaldi, and Claudia, whom she had with Squitieri. Cardinale is fluent in Sicilian, Arabic, French, Italian, English, and Spanish. Her niece Francesca is also an actress. Cardinale published an autobiography with Anne Mori, Io Claudia, Tu Claudia, in 1995. She has been a regular attendee of the Academy Awards. Her awards have included an honorary Golden Lion at the 1993 Venice Film Festival, and an honorary Golden Bear at the 2002 Berlin Film Festival. The Los Angeles Times Magazine, in a February 2011 online feature, named Cardinale among the 50 most beautiful women in film history. Cardinale said of her acting, "I never felt scandal and confession were necessary to be an actress. I've never revealed my self or even my body in films. Mystery is very important." In a 2014 interview, she revealed her secret of success: "If you want to practise this craft, you have to have inner strength. Otherwise, you’ll lose your idea of who you are. Every film I make entails becoming a different woman. And in front of a camera, no less! But when I’m finished, I’m me again." Audiard, Michel; Château, René (1995). Audiard par Audiard (in French). Editions R. Chateau. Besson, Patrick (5 February 2014). Premières séances: Mon tour du monde du cinéma. Fayard. ISBN 978-2-213-68378-2. Bondanella, Peter E. (January 2001). Italian Cinema: From Neorealism to the Present. Continuum. ISBN 978-0-8264-1247-8. Borin, Fabrizio; Mele, Carla (1999). Federico Fellini. Gremese. ISBN 978-88-7301-356-3. Brando, Marco (2008). Lo strano caso di Federico II di Svevia: un mito medievale nella cultura di massa (in Italian). Palomar. ISBN 978-88-7600-286-1. Brunetta, Gian Piero (1993). Storia del cinema italiano. Volume quarto: Dal miracolo economico agli anni novanta 1960–1993 (in Italian). Editori Riuniti. ISBN 88-359-3788-4. Cardinale, Claudia; Mori, Anna Maria (1995). Io, Claudia. Tu, Claudia (in Italian). Frassinelli. ISBN 978-88-7684-337-2. Cardinale, Claudia; Georget, Danièle (2006). Le stelle della mia vita (in Italian). Casale Monferrato, Edizioni Piemme. ISBN 88-384-8646-8. Cinecittà Holding (2005). Italiana: il cinema attraversa l'Italia. Electa. Clancy-Smith, Julia Ann (2011). Mediterraneans: North Africa and Europe in an Age of Migration, C. 1800–1900 (in Italian). University of California Press. ISBN 978-0-520-25923-2. Colli, Laura Delli; Lancia, Enrico (1987). Monica Vitti: filmografia e ricerche. Gremese Editore. ISBN 978-88-7605-268-2. Cones, John W. (2012). Patterns of Bias in Hollywood Movies. Algora Publishing. ISBN 978-0-87586-958-2. Cumbow, Robert C. (2008). The Films of Sergio Leone. Rowman & Littlefield. ISBN 978-0-8108-6041-4. Dewey, Donald (18 February 2014). Lee J. Cobb: Characters of an Actor. Rowman & Littlefield Publishers. ISBN 978-0-8108-8772-5. Dixon, Wheeler W. (2001). Collected Interviews: Voices from Twentieth-century Cinema. SIU Press. ISBN 978-0-8093-2407-1. Easterbrook, Ian K.; MacLean, Susan Waterman (1996). Canada and Canadians in Feature Films: A Filmography, 1928–1990. Canadian Film Project, University of Guelph. ISBN 978-0-88955-415-3. Fava, Claudio G. (2003). Alberto Sordi. Gremese Editore. ISBN 978-88-8440-257-8. Freda, Francesco (2006). 50 anni allo specchio senza guardarsi: il cinema nel diario di un truccatore (in Italian). Gremese. ISBN 978-88-8440-400-8. Gnudi, Ario (2008). Anelli di fumo (in Italian). Edizioni Pendragon. ISBN 978-88-8342-657-5. Gronemann, Claudia; Pasquier, Wilfried (2013). Scènes des genres au Maghreb: Masculinités, critique queer et espaces du féminin/masculin (in French). Rodopi. ISBN 978-94-012-0878-9. Hansen-Miller, Dr David (28 January 2013). Civilized Violence: Subjectivity, Gender and Popular Cinema. Ashgate Publishing, Ltd. ISBN 978-1-4094-9466-9. Julius, Marshall (1996). Action! : The Action Movie A-Z. Batsford. ISBN 978-0-7134-7851-8. Klinowski, Jacek; Garbicz, Adam (2012). Feature Cinema in the 20th Century: Volume Two: 1951–1963: a Comprehensive Guide. Planet RGB Limited. ISBN 978-1-62407-565-0. Lancia, Enrico; Poppi, Roberto (2003). Attrici. Gremese Editore. ISBN 978-88-8440-214-1. Lancia, Enrico; Minelli, Fabio (2009). Claudia Cardinale (in Italian). Gremese. Lisanti, Tom (1 January 2003). Drive-in Dream Girls: A Galaxy of B-movie Starlets of the Sixties. McFarland. ISBN 978-0-7864-1575-5. Malone, Aubrey (20 September 2013). The Defiant One: A Biography of Tony Curtis. McFarland. ISBN 978-0-7864-7595-7. Moliterno, Gino (11 September 2002). Encyclopedia of Contemporary Italian Culture. Routledge. ISBN 978-1-134-75877-7. Maltin, Leonard (2013). Leonard Maltin's 2014 Movie Guide. Penguin. ISBN 1-101-60955-9. Moliterno, Gino (29 September 2008). Historical Dictionary of Italian Cinema. Scarecrow Press. ISBN 978-0-8108-6254-8. Moore, Gene M. (1997). Conrad on Film. Cambridge University Press. ISBN 978-0-521-55448-0. Mosiello, Laura; Reynolds, Susan (2009). The Portable Italian Mamma: Guilt, Pasta, and When Are You Giving Me Grandchildren?. Adams Media. ISBN 1-4405-2039-9. Ringgold, Gene (1980). The films of Rita Hayworth: the legend and career of a love goddess. Citadel Press. ISBN 978-0-8065-0574-9. Simpson, David; Madesani, Angela (2008). David Simpson. Studio La cittá. Sleeman, Elizabeth (2001). The International Who's Who of Women 2002. Psychology Press. ISBN 978-1-85743-122-3. Toffel, Neile McQueen (2006). My Husband, My Friend: A Memoir. AuthorHouse. ISBN 978-1-4259-1818-7. Zambrana, M. L. (2002). Nature Boy: The Unauthorized Biography of Dean Stockwell. iUniverse. ISBN 978-0-595-21829-5. Ziccardi, Giovanni (2010). Il diritto al cinema. Cent'anni di courtroom drama e melodrammi giudiziari (in Italian). Giuffrè Editore. Wikimedia Commons has media related to Claudia Cardinale.